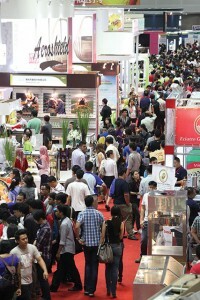 FHM 2013 which was held at the Kuala Lumpur Convention Centre (KLCC), Malaysia, from 17-20 September 2013,was the biggest show since its inception in 1993, occupying 13,000 sqms of space spread across over 7 exhibition halls. A total of 18,865 trade visitors from 57 nations visited the show, which amounted to an increase of 5.5% from the previous show. 1,160 participating companies from 47 nations and 6 international pavilions from Japan, Republic of Korea, Singapore, Taiwan ROC, Turkey and the USA were hosted at FHM 2013. 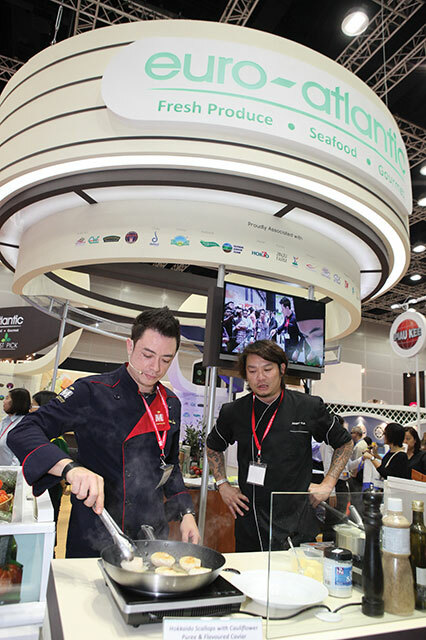 Some of the big names at FHM 2013 were CB Frozen, English Hotbreads, Eurochef, Global Pacific Victory, Kian Contract, Lucky Frozen, NKR, Pastry Pro, SCC Corporation, Sinmag Bakery Equipment, Wong Brothers and many more! To add flavour to the exhibition, a series of special features were held which included Celebrity Cooking Demonstration by Chef Sherson Lian and Chef JohnnyFua using exhibitors’ ingredients. 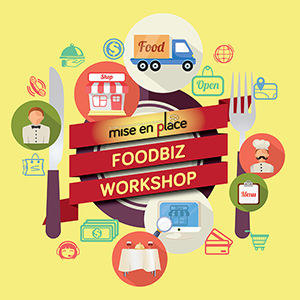 The exhibitors who collaborated with Celebrity Cooking Demonstration were Euro Atlantic, Lucky Frozen, Pacific West Food and Chefonic Kitchen. There was 2 days of intensive wine appreciation classes by the Wine Academy Founder, Mr. Roderick Wong and an interesting workshop on Scottish Single Malts and Japanese Sake Shochu by Mr Thomas Ling, certified specialist of spirits and sake professional. 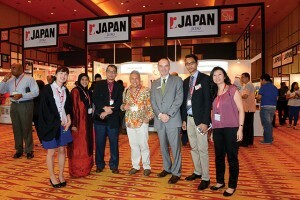 Two very interesting and informative conferences were held during FHM. One of it was the “Halal Workshop on Malaysian Halal Standards, Certification and Auditing” which gave comprehensive information on proper guidelines and compliances on Halal procedures in Malaysia by Malaysian Export Academy Sdn. Bhd. The second conference by Asean Hotel and Restaurant Association (AHRA) themed “New age hospitality a solution for the next generation of hoteliers” was organised by MAHTEC Sdn Bhd with high profile speakers from various industries. Another new feature introduced at the show was the Business-to-Business (B2B) sessions which generated more than 2000 matches and 457 on-the-spot matches between trade visitors and exhibitors. The pavilion actively using B2B sessions were from Japan, Korea, Singapore and Taiwan ROC. The trade visitors who utilised this service were very satisfied with this exercise as it was targeted for faster and secure face-to-face meeting without much hassle or interference. 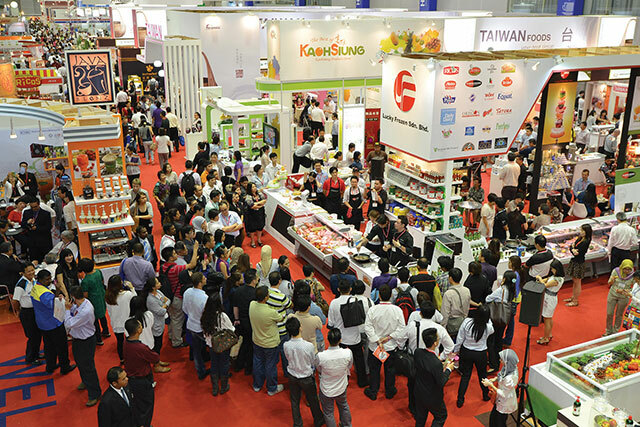 Following tradition, Culinaire Malaysia 2013 was held alongside FHM 2013. 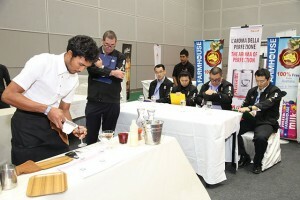 This year’s competition had 34 categories and more than 1,300 participations. To demonstrate the high-standards set by the competition, 86 renowned judges from around the world with international culinary and beverage backgrounds were brought in to judge the competition. 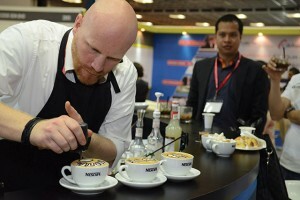 After a “Hot and Spicy” show this year, the FHM series will greet you again with “A perfect setting for your business” in 2015 from 29 September – 2 October. 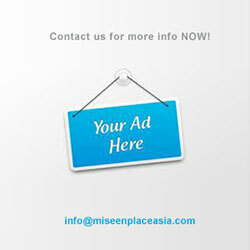 See you again and don’t forget to mark your calendar!